ADD UPDATE, 16 March 2018: Sarah Charters, a resident of Bishopstoke, yesterday sent an official letter of complaint to Eastleigh Borough Council (EBC) accusing Liberal Democrat councillors of misleading local people about Eastleigh’s Local Plan in their leaflets and social media. “I am writing to complain about the misleading communications being provided to the residents of Bishopstoke by Liberal Democrat Councillors through the ‘Bishopstoke Focus’ electioneering leaflets and social media. Please note that this is not a complaint about the policy being put forward, but the way in which it is being communicated. Having been a Liberal Democrat voter for many years, I thought the party represented strong community values and an honest and balanced approach to local and national politics. I have been horrified by the way the Eastleigh Borough Council has been conducting itself through the ‘emerging local plan’ and believe that the way politics is being practised locally is dishonest and immoral. 1. In the Bishopstoke Focus for January 2018, the Bishopstoke Councillors have stated that they are ‘Fighting for Bishopstoke’ in that they are opposing building across greenfields between Bishopstoke and West End. However, nowhere within this leaflet does it mention that the Bishopstoke Councillors are ‘fighting for’ 5,200 houses to be built within Bishopstoke and Fair Oak [so-called options B and C]. 2. The same leaflet states that local Conservative MPs called on the Borough Council to urge more work on a plan that would create an ‘urban sprawl’ and yet they have not told local residents that the ‘urban sprawl’ that the Liberal Democrats wish to create within Bishopstoke and Fair Oak will contain 2,000 more houses than the Government requires. It seems that the author of the leaflet is hypocritical. 3. The Christmas and New Year 2017/18 leaflet states that the alternative option promoted by Mims Davis MP and colleagues comes with no infrastructure improvements and will cause more road gridlock but does not even mention that there is a plan to build 5,200 houses in Bishopstoke and Fair Oak, and that current traffic impact report indicates there will be no improvement to the current traffic chaos, let alone acknowledge the additional traffic chaos the scheme will cause in Allbrook. 4. It is folly to suggest that the additional traffic caused by the additional 5,200 homes will all exit Bishopstoke and Fair Oak via a new M3 link road. I believe the Liberal Democrat Councillors should be advising Bishopstoke residents that, due to their preferred option for the Local Plan, Bishopstoke residents will need to accept much heavier traffic within many entry / exit points from Bishopstoke. 5. The photographs used by the Liberal Democrat Councillors show them smiling next to green fields, which gives the impression that they are protecting our local rural areas but the preferred option of building on B and C is viewed as being the most environmentally damaging by organisations such as the Woodland Trust and Campaign to Protect Rural England, as well as wildlife expert Chris Packham. 6. A video both shared and paid promoted on Facebook by Eastleigh Borough Council, shows the Liberal Democrat Councillors talking about protecting our ancient woodland. Encircling ancient woodland with housing and building a major road through a narrow field which separates two parts of the ancient woodland (Stoke Park Woods and Crowdhill Copse / Upper Barn Copse) cannot be viewed as protecting ancient woodland as it will impact on the natural habitat through noise pollution, loss of migratory routes and loss of hedgerows / verges used by a huge variety of wildlife. Is this not misinformation? 7. The councillors also suggest that they are protecting the woodland for local residents. Currently this green space (the ancient woodland and green fields between them) is enjoyed by thousands of Bishopstoke / Eastleigh / Fair Oak residents as a peaceful, safe, pollution free environment to exercise (walking, dog walking, jogging, horse riding, cycling etc) and enjoy nature. The preferred option of building on B and C will destroy this natural heritage and an environment that promotes health and wellbeing of local residents forever. The misleading information being provided to all residents of Bishopstoke is likely to influence their voting in local elections and is likely to provide a false sense of reassurance that Bishopstoke will not be adversely by the Liberal Democrats preferred option. I believe that the same misleading communications are being provided to the residents of Fair Oak. At a meeting with Cllr Anne Winstanley and Cllr Vickieye Parkinson on Monday 12th March 2018, I asked why the truth had been misrepresented and requested that the next edition of the Bishopstoke Focus clearly outlines what the Bishopstoke Councillors have voted for. I was informed that it was their publication and they could write what they wanted. I was given a very clear message that they had no intent to tell the whole truth in the Bishopstoke Focus, thereby removing the opportunity for the voting public to make an informed decision in the forthcoming local elections. I would be very grateful for your consideration of my complaint about misleading communications from the Liberal Democrat councillors which, sadly, I can only conclude are part of a wider dishonest electioneering campaign to reduce the opposition to options B and C by local residents. I am anxious that my complaint will not receive due consideration within Eastleigh Borough Council because I believe there has been a startling lack of democratic rigour throughout the whole process of drawing up the local plan. I fear my complaint will either be ignored or manipulated to provide further misinformation. I therefore request a review of my complaint at a national, as well as local, party level. As mentioned, I have always been a loyal supporter of Liberal Democrat policy because of the values and the party represents. 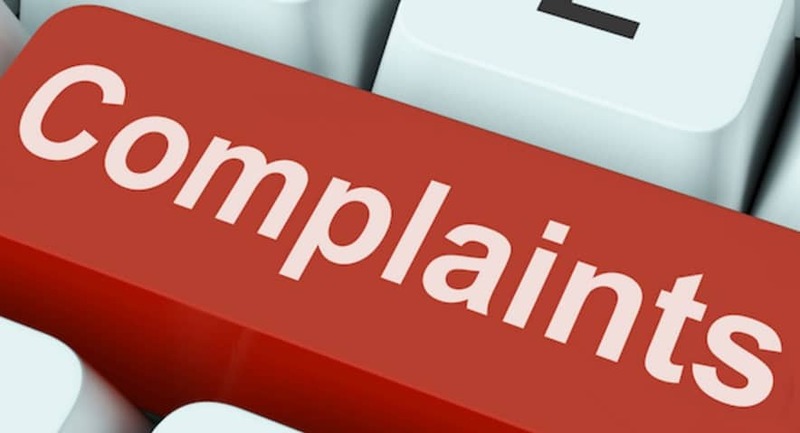 I feel let down and ashamed by the behaviour exhibited by the councillors I voted for and would therefore welcome an early response to my complaint. We will publish any reply that Sarah Charters may receive.